How does Google Shopping work for your ecommerce business? Every time someone in your target audience searches for something you sell on Google, an image of your product shows up, linked and ready to be bought. That’s what Google Shopping Ads can do for your business. It gets your products in front of online customers faster than any other method – and your competitors are already doing it. Shopping ads are prime real-estate in Google search results page. Depending on the device, they are shown either on top of the text ads or organic search results or to the right of the search results. Not using Google Shopping yet? You should. Even if you’ve never used Google Shopping Ads before, we’ll be there to help you get started. 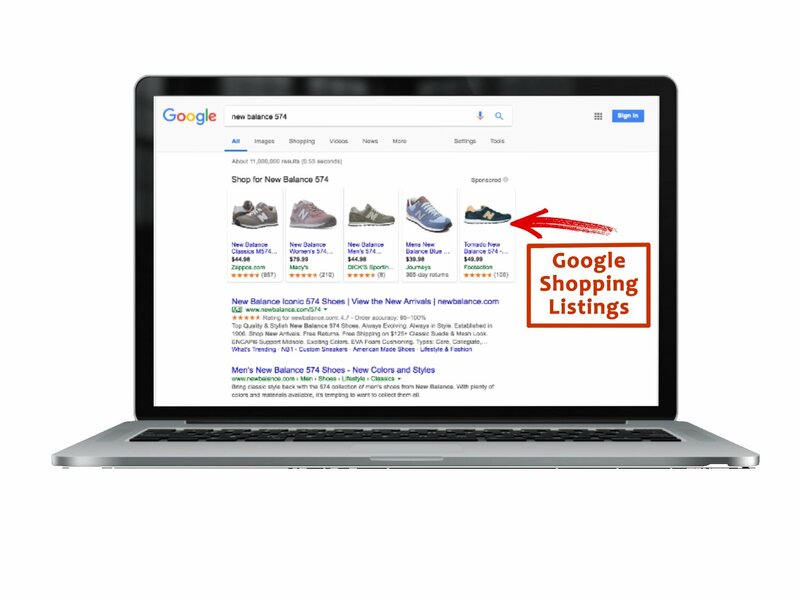 Google Shopping Ads is one of the most successful channels that any ecommerce company can use - and it’s a marketing channel built specifically for ecommerce. The visual products feed pops up only on keywords with a strong buying intent. Google Shopping Ads have the advantage of shortening the sales funnel and consequently increasing conversions. Potential customers see the products pictures and click directly to the product page. This strategy makes it easier for stores to advertise online - you don’t have to build hundreds of unique landing pages. "It’s by far the biggest revenue driver for most of our clients in terms of PPC marketing - more than 60% of the ad budgets that we manage are allocated towards Google Shopping"
This strategy is deceptively simple. On one hand you don’t need to brainstorm keywords or build and manage multiple landing pages, it helps with running ads at scale. On the other hand, it requires constant tweaks, and it can easily eat through your budget if you’re not paying close attention - we’ve seen this during audits on a number of occasions. A common mistake is setting the same bid for all products (regardless of the margin or conversion rate). Google Shopping campaigns also need constant refining and excluding the search terms that trigger your products ads - something that companies often don’t do themselves. Make your Google Shopping campaigns work better with Adfix, for profitable growth. If you’re looking to get better results from your campaigns, working with an agency on your Google Shopping Ads can help increase the profitability of your campaigns without worrying about accidentally going over your ad budget. Make use of all campaign priority levels available and experiment with advanced settings. From initial setup to optimizing product titles and descriptions, we’ll make sure your ads are showing up for as many relevant queries as possible. Working with us will also give you a clearer overview on performance, better budget control, and an easier understanding of campaign optimization. As mentioned before, more than 60% of all ad budgets we manage are allocated on Google Shopping. In our experiments we’ve noticed that Google Shopping Ads have a 30% better conversion rate versus regular text ads. The client in sport apparel niche got initial success with running Google Shopping in-house but they were unable to scale their campaigns as they had 20,000 products in their catalogue. Result: 395% revenue growth from Google Shopping and 29% ROAS improvement in 6 months versus the previous Year. "Adfix showed us what we were missing out on Google Shopping"
— CEO of a UK based golf apparel company. Adfix successfully sets up and manages Google Shopping campaigns to help ecommerce businesses achieve dynamic growth without worrying about positive ROI. We'll analyze your current campaigns, prepare a customized strategy and forecast with what kind of results you can expect from working with us. To put it simply, we make your campaigns work better for you. At the end of the day, it’s all about getting advanced help that's easy to understand and can translate into sales and revenue. The first step is always a Google Analytics audit, to make sure we’re able to properly track the results you’re about to get. Next is setting up your product feed according to Google’s best practices, all to make sure your products are right at the top of the list in customers’ searches. Then we build the actual campaign in Google Adwords, with a granular structure, controlling and reporting on each individual SKU. We’ll make sure your campaigns only feature top quality data, and as they start getting traffic, we will continually analyze performance and optimize. Throughout this entire process, you’ll be constantly in the loop, with weekly email updates, monthly reports and strategy calls. With proper bid management, product optimization and a specially crafted Google Shopping strategy, you’ll increase your visibility and conversion rates in no time. That way, you’ll hit your ROI goal and drive even more revenue to your business. In retail advertising, there’s no one size fits all approach. We recognize each business has its unique set of challenges so we’ve adapted our fees to take this into account. 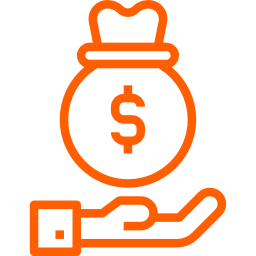 In the long term, our services pay for themselves in sales and revenue.